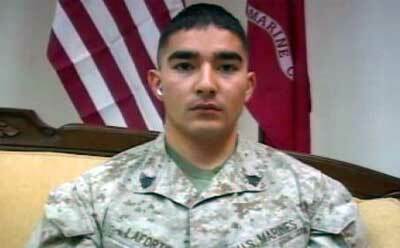 Nathan LaForte served eight years in active duty with the U.S. Marine Corps and one year in the reserves, working as a mechanic and a journalist. Other Marines showed him those ropes. Now LaForte is preparing to continue one-on-one work with members of the military, although this time it’s with veterans. He’s one of only five graduate students selected to enroll in an innovative program in the NIU College of Education that prepares them to help veterans regain the independence and self-sufficiency they had before losing their sight. The students are earning master’s degrees in special education with an emphasis on blind rehabilitation and orientation mobility. Congress awarded funding for the program to NIU shortly after the university received national recognition as a veteran-friendly campus. Gaylen Kapperman, professor and coordinator of the Visual Disabilities Program in the College of Education, says the program focuses on the rehabilitation of soldiers who return sightless from Iraq and Afghanistan. Losing one’s sight can be devastating for many people, he says, and for soldiers it can be even more so. Adjusting to life after losing one’s sight is as much psychological as it is physical, and the program has been carefully designed to prepare students for this challenge. In part, NIU’s program teaches participants how to use – and then teach others to use – tools that can re-socialize the visually impaired with the everyday world. These tools include Braille computers and electronic devices, such as GPS systems for the blind. Coupled with traditional classes for blind rehabilitation, the specialized program also offers coursework focusing on the needs of veterans who suffer from post-traumatic stress disorder or traumatic brain injuries. LaForte’s journey down this path began when Kapperman visited one of his undergraduate classes to give an informational speech about the new program. At the time, LaForte’s was preparing to become a social studies teacher; however, the closer he came to reaching his goal, the more anxiety he felt about teaching an entire classroom full of adolescents. While Kapperman talked about how the program would help rehabilitate veterans who are blind, LaForte recalled how much he enjoyed working one-on-one with people in the military. He soon realized that this program offered the best of both worlds: he could teach one-on-one while making a huge difference in the quality of life for wounded veterans. 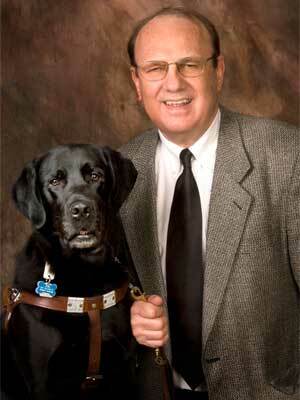 LaForte believes that there are no limits to what individuals who have lost their sight can achieve. He plans to expand their learning experiences beyond the classroom, including “outward bound” types of excursions. Kapperman agrees, and says that the role of LaForte and his fellow classmates is crucial in changing the lives of returning veterans. The five students take six courses for two semesters and then complete one year of internships. LaForte often studies into the wee hours of the morning to keep up with the rigorous coursework, but he’s not alone. LaForte also has found other outlets that help him stay connected on campus. He is involved in several organizations and activities, including Alpha Phi Omega (APO), Brazilian Jiu-Jitsu Club, Gymnastics Club and UNIV 101 and 201. APO is a national service fraternity where LaForte participates in food drives, fundraisers and auctions to help others. He also serves as an orientation leader, and is involved with the Military Student Services office. His many achievement and dedication to education have not gone unnoticed: He received a Kevin D. Knight Leadership Award and was named to Who’s Who on NIU’s campus in 2010.